"London"- "the frozen music of Odessa"
Palaces and parks of Chernigov. Odessa is the "pearl of the sea", "southern Palmira", is the "Ukrainian Riviera". Travel company "Lyudmila-Tur" working in the tourist market since 2006. During this time we have established ourselves as reliable and competent, in the field of tourism organization. We offer both standard programs of one-day and multi-day exclusive for both adults and children. We can organize your transfers and excursions by car, bus, limousine or helicopter. In addition, our experienced guides will take guided tours in English, French, German, Italian, Spanish, Polish and Czech for guests from any corner of the earth and acquaint tourists with the history of the city, its main historical attractions. During sightseeing tours guests will have the opportunity to get acquainted with the legacy of the great men of the city. After all, Odessa was built by the Spanish project Dutchman by order of the Germans on Jewish money. "Odessa's yards..." This is a special page in the history of the city, for the first courtyards were! Don't be surprised, it is a philosophy of Odessa yards started the myth about Odessa. "Criminal Odessa" is a popular district of Moldovanka. It is an unsurpassed pickpocket and con artist Sonka the Golden hand, gangster Mishka Yaponchik, Yakov blumkin, Solomon Rozemblyum prototype of 007, Grigory Kotovsky, and more. "Fatal women of Odessa" will tell You about famous and less famous names, beautiful women, who left a bright trace in the history of the city. 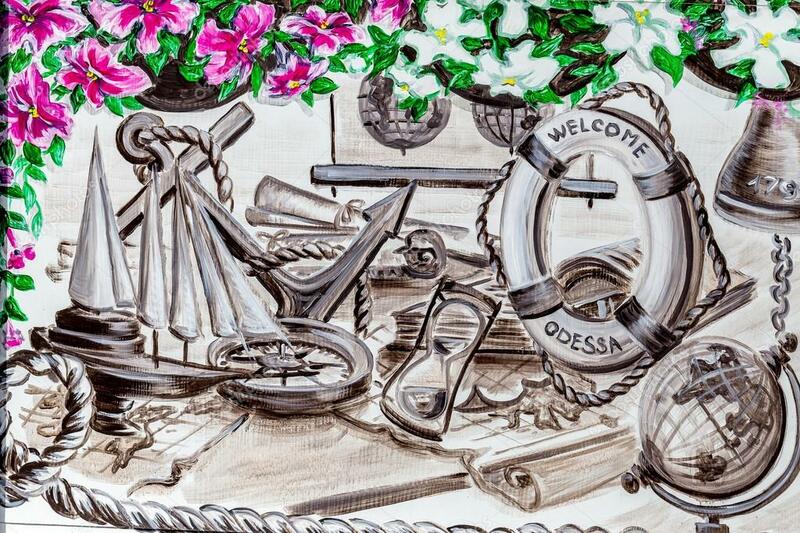 "Literary Odessa" it is the spiritual homeland of talented people I. Bunin, A. Kuprin , I. Babel, Ilf and Petrov, E. Bagritsky. Everyone knows that Odessa – the capital of humor. The indigenous inhabitants of Odessa it is permeated with a special humor, which visitors gladly remember and dismantled for quote. We will introduce you to the real "Odessa speech" and traveled to the famous Odessa Privoz all this on the tour "Merry Odessa". Odessa is a major black sea port. The Agency offers several tours on the subject- "Vorontsov lighthouse" and "Odessa-port". Tasting and wine tours. Interest is "plant Shustov", "plant Shabo", "Institute. Tairov". At the request of tourists we have any possible terms of settlement. All this will allow guests to better get to know our beautiful city. If You satisfied, it means that we have been able to understand, anticipate and realize Your desires. We will try to make You proud said: "I did, Yes I was in Odessa and have something to tell You!" I hope that by contacting us once you will become our good friends. Lyudmila Tur - is price + quality=the sea of pleasant memories and impressions!